There are many steps both big and small to getting a handle on your debt. If you’re unsure where to turn for help or who to trust, you’re not alone. We estimate that about one in three people have been contacted by a creditor or collector seeking to collect a debt within the past year. No matter your reasons for changing your financial situation, there are resources available to help you pay off what you owe. 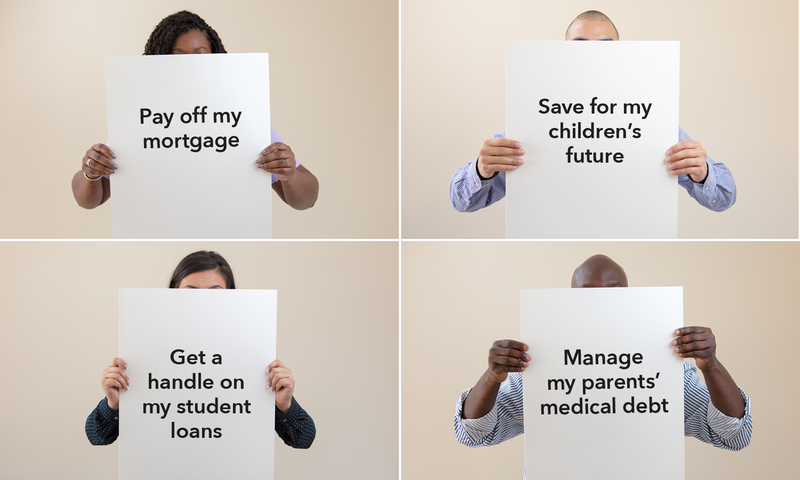 If you want to take steps toward any of your financial goals, we’re here to help. Credit counselors can advise you on ways to manage your money and debt and help you create and follow a budget, which can help you save or pay off a debt. Credit counselors are usually nonprofit organizations. To get started, you can try the Financial Counseling Association of America online or by phone at (800) 450-1794, or the National Foundation for Credit Counseling online or by phone at (800) 388-2227. Then, check on the organization with your state’s attorney general or your local consumer protection agency . A credit counselor can help you develop a debt management plan for some or all of your debts. You may make one payment to the credit counseling organization each month or pay period to use toward payments to your creditors, which may help you focus on your other financial goals. Credit counselors usually don’t try to reduce the amount of debt you owe. But they may be able to help lower your payments by having you make payments over a longer period, or they may get your creditors to lower your interest rate. What they may not tell you is that not paying your debts while trying to settle them can lower your credit scores, add late fees and interest to your account, or cause creditors or debt collectors to file lawsuits against you. These can all slow your momentum toward financial growth. You can check on the debt settlement company with your state’s attorney general or your local consumer protection agency . Paying off debt can be a long journey. But using this information can get you on track to achieve your financial goals. We have additional information about working with debt collectors, including sample letters you can use for your own situation. You can also submit a complaint about a debt collection issue or call us toll-free at (855) 411-CFPB (2372), Monday through Friday, 8 a.m. to 8 p.m. ET. Pass it on! You can download this information in English or Spanish.